Biggest Challenge: A large part of the championship team is back again this season but some players are in new places. Getting those players up to speed along with building the depth behind them has been a focus of the work getting ready for game No. 1. Outlook: The Stags are the prohibitive favorite to repeat as Class 4A-I champs. Miege returns powerhouse running back Dawson Downing along with several other all-state caliber players on both sides of the ball. Miege will again be tested through a tough EKL. While undefeated conference and state titles might not be possible this team is one of the best in the Metro every time it takes the field. Biggest Challenge: The Tigers bring back a good group of starters that made it to the 6A quarterfinals a year ago. Blue Valley finished last season strong and are looking to keep improving this year as the season goes on. Outlook: Blue Valley easily made the jump from 5A to 6A and was one of the top teams in the state. This year could be another strong one and the Tigers have the chance to be the first non-Sunflower League team to make it to the 6A title game on the East side of the bracket in 37 years. Biggest Challenge: The Mustangs played almost all underclassmen last year so almost the whole team is back. Those players will be playing with expectations for the first time and how they handle those expectations will be a big part of North’s success. Outlook: Blue Valley North could have one of the better offenses in the EKL and that is saying a lot. The Mustangs have talented quarterback Joey Dolan triggering an attack that has several other good skill players. If North can find some defense from week to week this could be the best team in quite a few years. Biggest Challenge: For the second-year in a row the Huskies have three tough games to start the season. Northwest opens with Bishop Miege then follows it with Mill Valley and St. Thomas Aquinas. The Huskies will need to be ready to play mistake-free football to start the season. Outlook: Northwest has been a team that each year plays tough physical football. The Huskies tough early schedule didn’t stop them from having a winning season a year ago and this year could be the same. 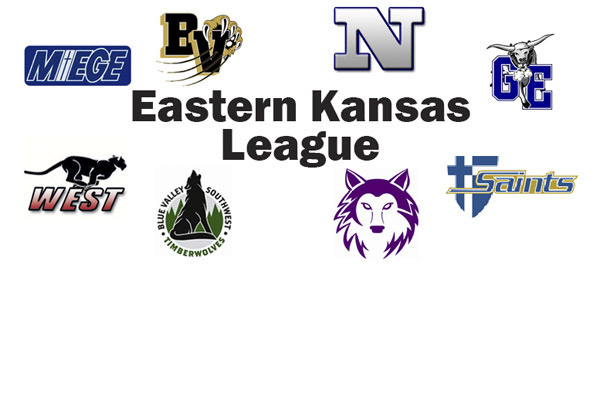 Another big test will come at the end of the season in a district that features Blue Valley, Olathe South and Gardner-Edgerton. Biggest Challenge: With a small senior class the Timberwolves have a lot of younger players in new coach Anthony Orrick’s new system. Southwest has some talent but the task at hand is developing the younger players into quality depth for a tough EKL season. Outlook: Southwest will look to climb up the ladder in the EKL this season. It will be a tough road but this is a team that could be much better at the end of the season than it was at the beginning. Outlook: West missed the playoffs for the first time in a while last season. This is a talented group led by a strong defense. If the offense can develop this could be one of the better Kansas Class 5A teams in the Metro. Biggest Challenge: It was a tough year for the Trailblazers so this group is looking for some confidence. The senior class doesn’t have a lot of depth so Gardner-Edgerton will be looking to younger players to fill in some spots. Outlook: Gardner-Edgerton proved how tough the EKL can be. The Trailblazers went from battling for the league title one year to winless the next. There is a good group of younger players so this might be a team that grows and restores confidence as the season goes on. Biggest Challenge: The Saints return a good group of starters but the defense has some new players in key positions. Those players will need to get up to speed quickly and how they adjust will determine how well the defense plays early on. Outlook: Aquinas is the consensus No. 1 pick in Kansas 5A according to most of the polls. They return a strong group on both sides of the ball. It may not be state title or bust but most people associated with the program expect this team to maybe take that final step and bring home a football championship.